You would not say a GT3 car is slow as it blasted past you. You would not say a Formula Ford 1600 is easy to drive. You would not say Macau is a simple circuit. 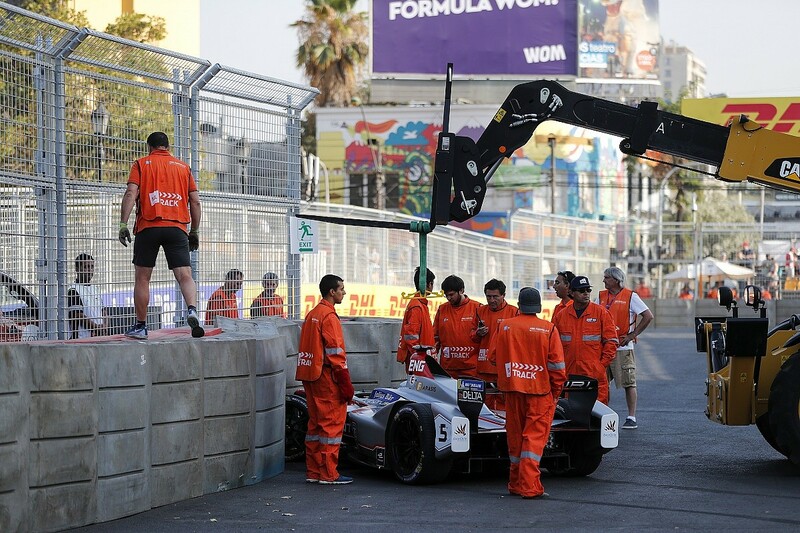 So why do some people feel compelled to consider Formula E anything other than one of the world's toughest categories? The electric single-seater series has been defying critics and sceptics since its birth, and it is undeniably difficult. Anybody who has watched a race, or even half of one, will have noticed a top driver locking up, or spinning, or hitting the wall. Mistakes are commonplace, and it's not because the field is lacking talent. "I haven't come across a championship as hard as this one," says 2017/18 title challenger Sam Bird. "It's got everything. Try to name a championship with as high a level of driver - I can't. The engineering level is incredibly high. And OK, the cars aren't quick, but I don't think they need to be to give good-value-for-money racing on street circuits. "I think we're giving some amazing racing. And it's such a high level, and super challenging. To extract the maximum out of this car all the time is extremely difficult. It's a tricky car to drive. To execute quick lap times compared to these other guys and only do it in a certain amount of power output, it's a tough skill." The first-generation FE car is at the end of its lifespan, and will soon be ushered into retirement to make way for the 'Gen2' machine. That Batmobile-inspired racer will have huge shoes to fill when it comes along. Even in FE's first season, when power levels were limited to 150kW in the race and 200kW in qualifying, the cars were dramatic. Certain circuits, particularly those with chicanes featuring high kerbs, proved punishing on the suspension of the SRT_01E, the inaugural spec car. This led to sudden failures, and drivers also complained about the feeling of the carbon brakes. The suspension breaks were partly caused by higher-than-expected loads from the heavier-than-expected base chassis, which ended up at a whopping 888kg. The braking problem was because the speed of the car was too low for the quality of the brakes, which led to struggles to get them up to temperature. A heavy car with a lack of feel in the brakes was a recipe for mistakes. Though the carbon brakes were refined thereafter, and the suspension was also beefed up, FE never got any easier. The car's weight hasn't helped that. It's been trimmed slightly since its 888kg peak but only to 880kg, and it has a rearward weight distribution that, combined with the high torque from the all-electric powertrain, makes it tail-happy. FE has never relied heavily on aerodynamics, thanks to a combination of a low-powered car and tight street courses packed with slow corners. Though the aero does contribute something, it is far more aesthetic than in Formula 1 and other high-downforce categories. However, that benign aero has also helped facilitate close racing, and the car is far from on rails, particularly as FE races take place on bumpy, dirty, temporary circuits. Ex-Honda F1 test driver-turned-Japanese racing ace James Rossiter has tested for the Techeetah and Venturi squads this season and came away with a renewed appreciation for the driving challenge. "The weight management on a bumpy circuit I found challenging and fun - the car moves around a bit, you're in between walls, the kerbs can be taken at the apex," he says. "With the bouncy track, the weight of the car and the lack of grip, if you go over the limit and the car starts sliding, it just carries on sliding. "If you brake too late or carry too much speed, there's nothing you can do as a driver to recover it. That's what struck me most. "It gives a huge respect for the drivers who are good at it. You have to be so strict with yourself, you have to be so controlled not to overdrive it, to be too greedy." A senior team figure once got his nose out of joint over the suggestion FE should trumpet more how difficult its cars are to drive. "We don't want people to think electric cars are tough to drive," was his logic. 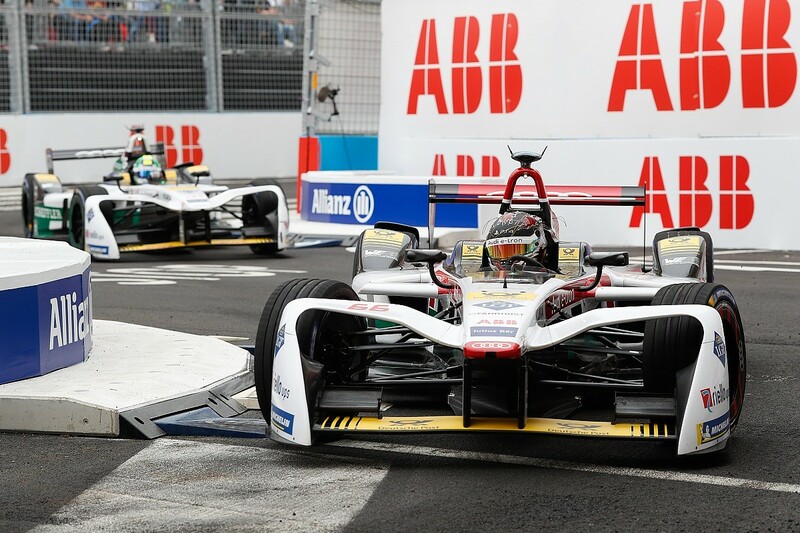 But the simple fact is that the electric element of FE offers a significant portion of the driving challenge. "The car is not the quickest but it's extremely difficult to drive," says reigning FE champion Lucas di Grassi. "The level to get everything correct is very, very high. The car is changing all the time and you have to be really aware of the energy and regen." Di Grassi's 'regen' comment refers to the energy harvesting that takes place between the powertrain and the battery. This is where energy can be recovered into the battery under deceleration by the driver manually activating a paddle or button, a software map that automatically engages the motor or a combination of the two. Such a technique has two key impacts on driving an FE car quickly. First, it affects the braking performance. Bird tells a story from FE's first season, when this process was at its most immature, of him spinning after braking in a straight line because the ratio was completely out. That is not very common, but regen can lead to braking problems, which is the second point. Presently, when the battery hits 55C it starts to lose regen linearly until it reaches 60C. At this point, the system goes from offering 100% energy harvesting to zero, usually over the course of three or four laps. While regen is active, it is the electric equivalent of engine braking. So, the brake bias is set more to the front to counter the stronger braking performance afforded by energy being recovered from the rear axle. Teams then have to factor in the changes that need to be made in brake bias to offset the subsequent reduction during a race stint. "Your brake bias changes massively," says Bird. 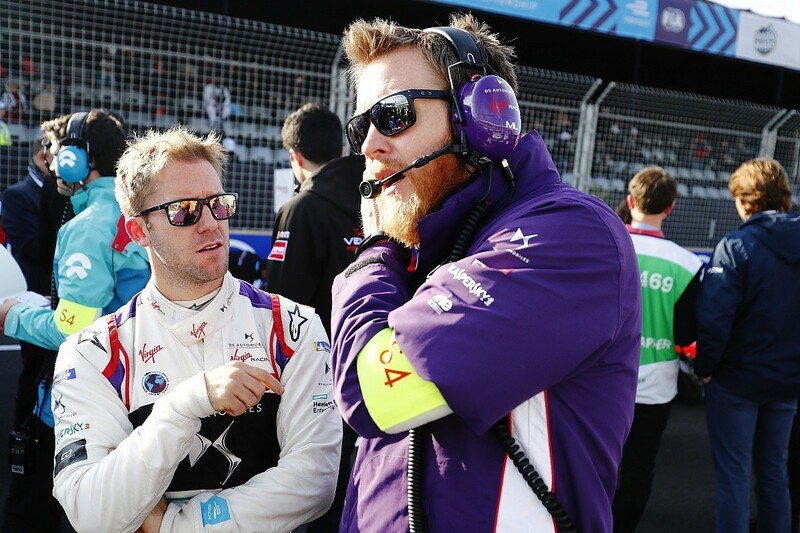 "If the temperature has risen by one degree, you might be 5-10% out on your brake bias going into the next braking zone and you won't even know - it's that critical you're on target every time in Formula E.
"When you lose regen, you have to turn the brake bias to the rear and do it quickly, otherwise the front locking will be severe." Word on the street is the new McLaren Applied Technologies battery for the second-generation car has ultra-impressive thermal degradation (for that read 'very little indeed'). This could mean even more aggressive energy harvesting in the future - especially if the series opts to allow energy recovery from the front axle, which is currently illegal. Conversely, a move to allow all-wheel drive - motors on each wheel - would facilitate torque vectoring. This would reduce the challenge, as adapting the power going to each wheel based on which phase of a corner the car is in would be an incredibly sophisticated driver aid. The management involved in executing an FE race is complicated by the lack of data available. Energy consumption and harvesting numbers are not transmitted via telemetry during sessions, so drivers must relay this information to their engineers. This forms the crux of the strategy: how much can they push, do they need to save, when is regeneration likely to cease, are they marginal on temperature? Season-two champion Sebastien Buemi calls it "one of the biggest challenges" and reckons the communication is "vital". Patrick Coorey has engineered Bird, Adam Carroll and Nelson Piquet Jr across the DS Virgin and Jaguar teams. He says that the importance of feedback is amplified further by the lack of track time available thanks to FE's (usual) single-day format of two practice sessions, qualifying and race. "We have to draw conclusions and make the right decisions very, very quickly," he says. "You've not got a lot of time to go away and spend hours analysing data." Bird's current engineer at DS Virgin, Mike Lugg, offers a stark insight into how much conversation this can mean in FE: "Sometimes we might talk non-stop for an entire lap. There's a lot to manage and he's really good at that side of things, keeping cool and calm, doing the driving on autopilot and being able to have conversations. "We're chatting about strategy, temperature management, things like that. There's a lot of back and forth." Lugg reckons that one of Bird's best attributes is that "when it comes to the crunch, you can rely on him" - and he knows the difference between relaying information and getting too involved. "He's happy that his job is the driving bit and he gives the feedback and leaves it to me to look into stuff," says Lugg. "When he's in the car, he's quite decisive. When things do go wrong or things change, he's good at immediately jumping on the new target he has to achieve. "A lot of that comes from us spending a lot of time on the simulator and going through all possible scenarios, so he knows that if something happens, he does 'this'." Bird says he has no trouble driving while on the radio because "the more information I can give and they can give me, I prefer it". "I don't drive any slower if I'm on the radio, it doesn't affect me," he says. "In this championship you need to adapt, the steering wheel's not straight very often. "I want to know what the guy behind is like on energy, what his pace is like, if we think they'll go a lap longer or shorter, if I need to look after temperatures - whatever I need to have a better race than I'm having." The single-day format poses two other challenges. First, as di Grassi notes, it tests the drivers much harder. "If we stayed here for five days testing, drivers who take longer to find the limit would be closer," he says. "But because we have one hour of free practice and one lap in qualifying, either you find the limit without crashing or you're nowhere." It also gives teams a tiny window of track time to engineer their cars. FE's early circuits were a bit samey, but variety has crept in since, with the now-absent Montreal and stellar Rome layouts offering cool gradient changes, Berlin Tempelhof providing completely different asphalt/concrete surface changes, and there is an abundance of other challenges, such as the mega-bumpy and dusty Santiago track. Last year's Berlin double-header is a fine example. Mahindra's ability to get the all-weather Michelin tyres - which are super-resistant and rarely show thermal degradation - to perform over the entire lap of the disused-airfield venue was key to Felix Rosenqvist's breakthrough 2016/17 win. "The tyre deg [in Berlin] is high, the tyre heating is high, the tyre grip is high - higher than usual," Rosenqvist's engineer Andres Castillo notes. "Normally we're racing on purer street tracks, this was something halfway between Tarmac and concrete. It's quite similar to Long Beach - big patches of this kind of concrete. The rear suspension is different across the powertrains so there could be some difference there and maybe also in the weight distribution." Castillo also highlights how some venues, like Paris, can be "non-energy" circuits. 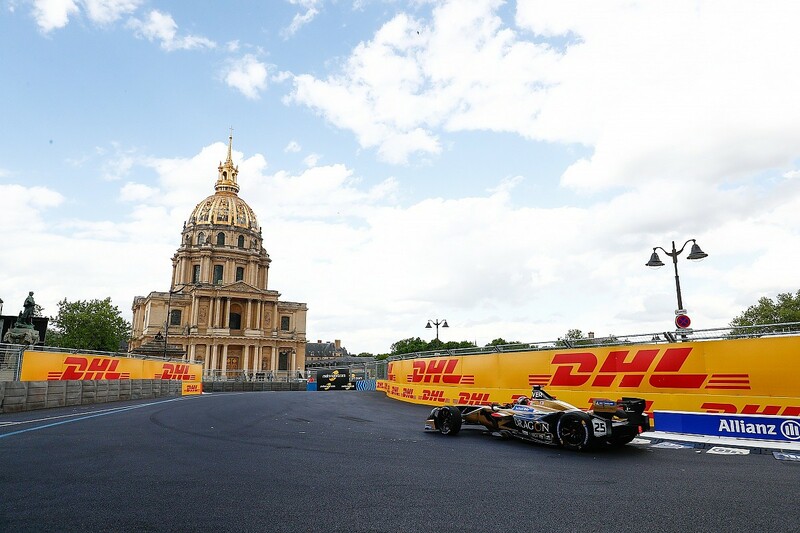 This completely alters the teams' strategic preparations, the demands on the drivers and the nature of the racing we see - as does the FIA's push to make the second half of a double-header, of which FE has had several, a lap or two longer. "Paris is so twisty and has so many corners that the difference in pace between a flat-out and coasting lap is not huge," he says. "In Berlin it is big and then on day two, the race is two laps longer. It makes the coasting points and use of the regen functions different. We have to learn again in FP1 and FP2 about how to manage energy for the race." "Racing on a street circuit at high speeds with walls everywhere, and trying to overtake at the same time, is really tricky," points out Buemi. "Unlike a normal circuit that has been purpose-built, there is not a lot of grip on everyday roads, so we must adapt. 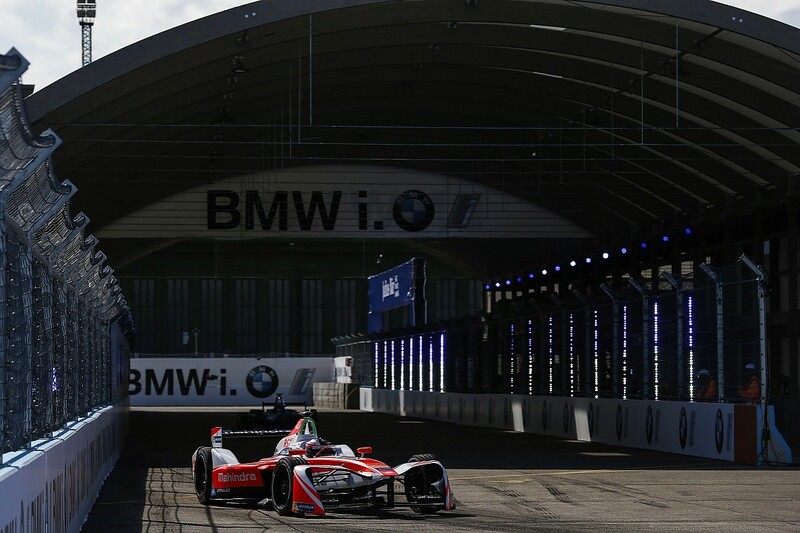 Plus, almost every track in Formula E is completely new." As FE has matured, it's become envied. 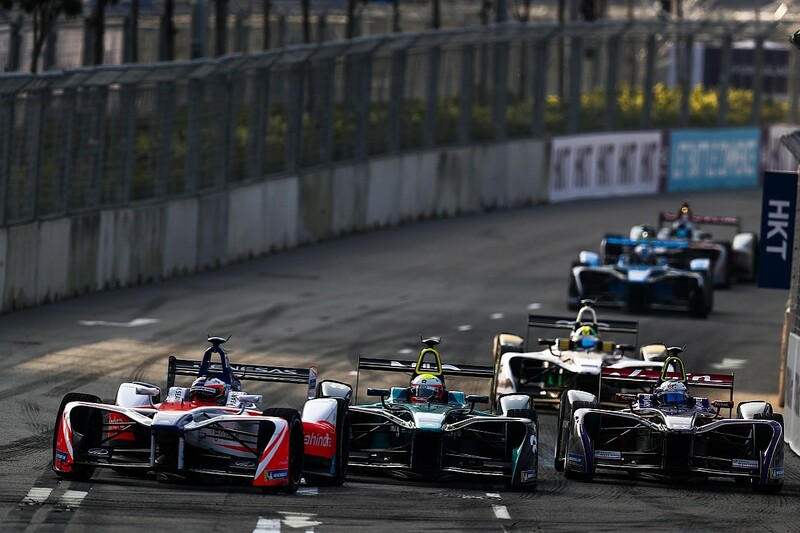 Earlier this year Bernie Ecclestone declared F1 needs to become fully-electric, citing the popularity of Formula E and the automotive industry's trend of switching to EVs. However, he missed the point. 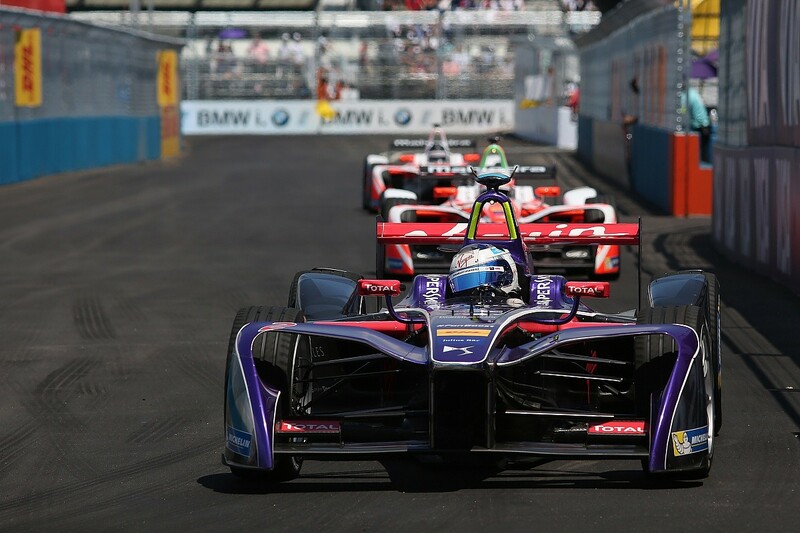 Switching to electric cars would not immediately transfer FE's best qualities to F1. There's a lot more to FE than the fact it is electric, even if it is a core part of what makes it challenging. Since FE opened up powertrain development for the 2015/16 season, two and a half years ago, each of the current 10 teams has scored a podium. F1 isn't even close to that kind of statistic over the same timeframe. Daniel Abt's victory in Mexico took the tally of winning drivers on the grid to 10 (of 20) - F1's number over the same time is five race winners from three teams. That is a recipe F1 would dearly love, electric cars or not, and that's a testament to a few key variables that ensure it remains challenging and, by extension, produces good racing. The cars are low-grip, with less aerodynamic dependency. They are tricky to master and are raced on challenging circuits. FE's new car has a lot to live up to when it is introduced next season, and everything about it seems impressive on paper. Under the skin, it has a 385kg battery capable of storing energy for twice the range of its predecessor to eliminate the need for mid-race car-swaps. It will have maximum power of 250kW, with 200kW available during races, a maximum speed of 280km/h (174mph), and a minimum weight of 900kg, up from the current 880kg limit. 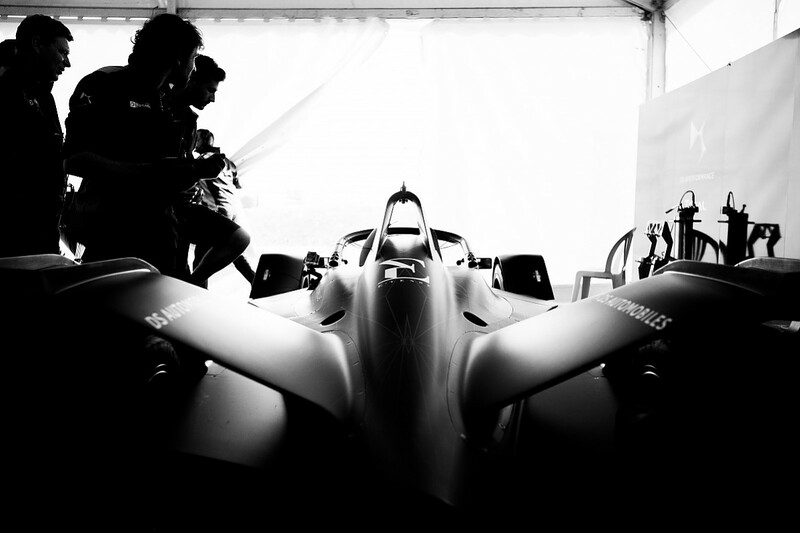 FE has constantly pushed teams and drivers to learn more in the face of new challenges. If that continues into its next era then the series really can withstand the test of time.